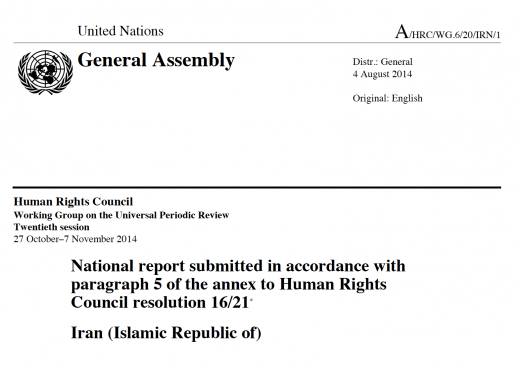 Below is a list of reports and resolutions related to the 2nd cycle of the UPR in 2014. Summary of the interactions and recommendations issued by UN Member States in the working group. 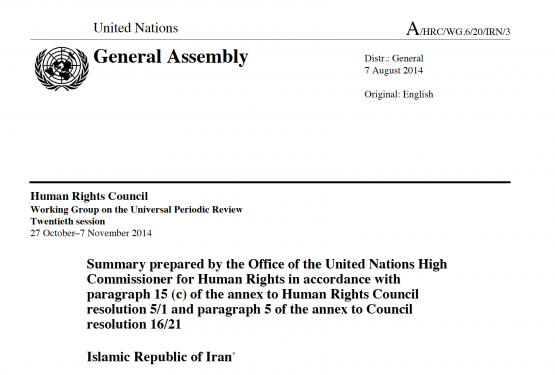 Summary of stakeholder submissions regarding the human rights situation in Iran submitted to the UPR Working Group. 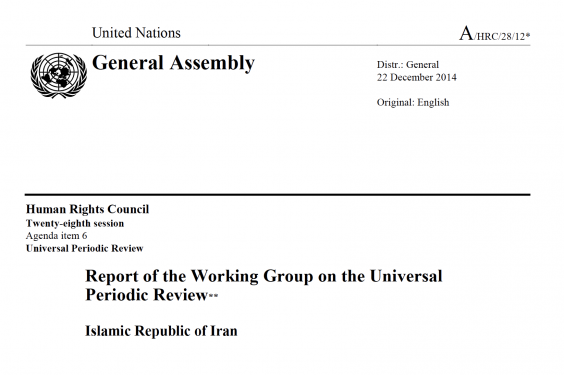 Iran’s National Report to the Twentieth Session of the Universal Periodic Review Working Group.